ICA | Selina Thompson: live reading of salt. Selina Thompson: live reading of salt. Selina Thompson, salt. Courtesy Richard Davenport. Artist and performer Selina Thompson presents a reading of her theatrical production salt., accompanied by performative live drawing by illustrator Cressida Djambov. salt. 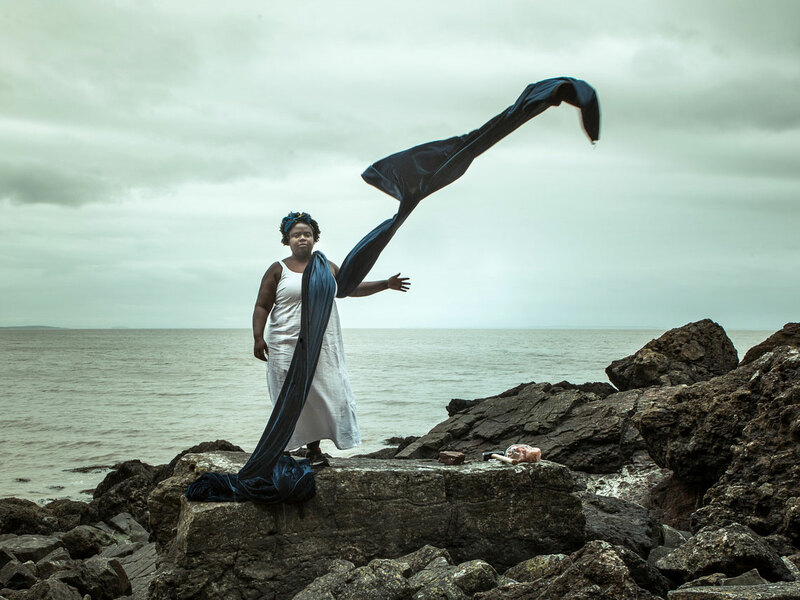 is a monologue created in response to a recent journey made by two artists aboard a cargo ship retracing a transatlantic slave triangle route – from the UK to Ghana, Jamaica and back. Selina Thompson is an artist and performer based in Leeds. Her work focuses on identity politics and how this defines our bodies, lives and environments, and is often participatory. She has made work for pubs, cafes, hairdressers, toilets, galleries and theatres, including SPILL Festival of Performance, National Theatre Studio, Birmingham Repertory Theatre, East Street Arts and West Yorkshire Playhouse. She is currently developing a new project exploring black identity within the UK and further afield, and another looking at job centre culture and unemployment. Cressida Djambov is a London-based illustrator and maker. Her work explores themes of family, LGBTQI issues and British sub-cultures. The monologue salt. was commissioned by Yorkshire Festival, Theatre Bristol and MAYK. The work is supported by Arts Council England and 200 kind and generous individuals who donated towards a voyage across the Atlantic. A multibuy ticket for Flee the Scene and Selina Thompson (£8.00 Full Price, £5.00 Members) is available via Box Office on 020 7930 3647.